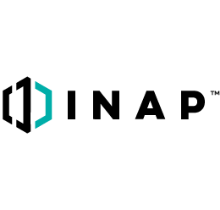 Internap Corporation (NASDAQ: INAP) is a leading global provider of performance-driven, full-spectrum data center and cloud solutions. Through its portfolio of high-density colocation, managed cloud hosting and powerful network services, INAP partners with its customers, who range from the Fortune 500 to emerging startups, to create secure and scalable IT infrastructure solutions. INAP operates in 53, primarily Tier 3 design data centers in 21 metropolitan markets and has 102 POPs around the world. INAP has over 1 million gross square feet in its portfolio, with approximately 600,000 square feet of sellable data center space. 0	jplist-folder-All-Posts-5859 jplist-folder-Featured-5862 jplist-folder-Blog-5860 Blog	jplist-topic-Agile jplist-topic-cloud jplist-topic-Colocation jplist-topic-Multicloud jplist-topic-Network	1	04/16/2019 13:23:11	Blog By: Dan Beers, VP Colo BU Operations Services As multicloud and hybrid IT strategies become standard for the most agile, innovative enterprises, tech leaders must choose solutions that balance the needs of the business today with the agility and flexibility that the rapidly shifting tech landscape demands. That’s why committing to a data center or cloud solution for multiple years is a common source of consternation for infrastructure and operations (I&O) leaders. If business needs change, decision-makers rightfully fear being locked in to a solution or vendor, which may require them to sacrifice agility or devote precious resources to costly, unplanned strategic pivots. With INAP Interchange, there’s no need to fear. Our new program provides solution flexibility after you deploy your initial solution. Exchange infrastructure environments a year (or later) into your contract. That way, you can focus on current-state IT needs knowing you can adapt for future-state realities. What is INAP Interchange? 1	jplist-folder-All-Posts-5859 jplist-folder-Blog-5860 Blog	jplist-topic-It jplist-topic-It-Infrastructure	0	02/25/2019 12:50:14	Blog By: Nick Chang There can be no doubt that IT is on the leading edge of digital transformation, driving organizational change that is fully bringing enterprises into the digital era. And there’s no shortage of think pieces and editorials on how this has shifted the role of IT. But in the discussion, what’s often missing is the perspective of the IT professionals on the front lines, the ones doing the work day in and day out, often spending significant time even after hours to keep the business on track. What do they think about the IT function, and how would they describe their role in the business? Here’s what we learned in a survey of 500 IT professionals. IT Holds the Enterprise Together “We are the thread that keeps the company running and secure and together.” “We are the glue that keeps this company together.” IT is a function that touches every other. Even as its responsibilities have expanded far beyond merely maintaining technology systems, IT’s integration into every part of the enterprise weaves them into the day-to-day of the entire business. IT Is the Center of the Enterprise “Our department is the core of our organization.” “The IT department is the backbone of our organization.” The nuance here is not just that IT pros believe their work is integral to the other functions: They see it as intimately supporting everything that goes on in the business. In other words, they’re saying that without IT’s constant support, the business couldn’t function at all—an idea perhaps supported by just how much of IT pros’ days is taken up by routine maintenance. IT Drives the Enterprise “IT is the brain of the company.” As the keepers of the tech, the IT function is at the nexus of any modern enterprise’s operations. Businesses are faced with the growing need to quickly adopt and leverage new technology for digital transformation, and IT is in the perfect position to have a central role in these initiatives. IT Powers the Enterprise “We are the engine that makes this company work.” In our survey report, The State of IT Infrastructure Management, we found that 86 percent of IT pros would say that IT is driving their organization’s digital transformation efforts. And certainly, their oversight of the organization’s key technology powers the organization on a day-to-day basis, but their unique ability to drive innovation through technology is what sets the function apart. IT Is Attached to the Heart of the Enterprise “We are not only dedicated but attached to the heart of the company making sure every element is covered, fixed, updated and integrated.” Again, IT sees itself at the center of the organization, a function whose daily operations power the entire organization from top to bottom. And like a heart, IT’s impact on the rest of the organization is far greater than its size would suggest. IT Is Talking About Transformation—Everyone Should Be Listening In our survey, we asked IT professionals about the one thing they’d like their CEO to know about their department or team. The range of answers we got highlighted many lessons for anyone interested in the future of IT—and certainly not just CEOs. But from those responses, we also got a snapshot of a function in flux. As IT is called upon to do more with less and expectations—both internal and external—change, IT professionals are hungry to be recognized for their unique contributions to the enterprise, and not just as an operational cost center. The colorful metaphors they used to describe their jobs illustrate the passion and enthusiasm with which they approach their work, even with the stress of limited resources and packed to-do lists. For those in IT, does this resonate with you? And for those of you outside IT, does this change how you think? Weigh in on social media to continue the conversation. 15	jplist-folder-All-Posts-5859 jplist-folder-All-Posts-5859 Data-Sheet-Data-Sheet	jplist-topic-Colocation jplist-topic-Data-Center	0	01/11/2019 16:54:20	Premium Data Centers: Backed by a proactive 100% uptime SLA, INAP facilities offer 18x more availability than N+1 alone. Enhanced Connectivity: Carrier neutral meet me rooms supplement INAP’s industry leading Performance IP™ and enable connections to a host of third party services. High-density configurations available, including cages, cabinets and suites 4 MW power capacity Award Winning Support: Colocation and Network Engineers are on site and ready to assist 24 hours a day, 7 days a week, 365 days a year. 16	jplist-folder-All-Posts-5859 jplist-folder-All-Posts-5859 Data-Sheet-Data-Sheet	jplist-topic-DRaaS jplist-topic-Hyper-v jplist-topic-Pay-As-You-Go jplist-topic-Secure-Seeding jplist-topic-Veeam jplist-topic-Vmware jplist-topic-White-Glove-Service-And-Onboarding jplist-topic-Zerto	0	11/27/2018 14:48:58	On-Demand Disaster Recovery as a ServiceWhile increasingly top of mind for many organizations, a fully replicated DR environment can be a tough expense to justify depending on the recovery objectives of your company. INAP’s On-Demand Disaster Recovery as a Service (DRaaS) is an entry level, pay-as-you-go solution. Pricing is based on the storage and licensing used while in standby; you only pay for your private cloud resources when a disaster is declared. With On-Demand DRaaS, gain protection from unexpected downtime without paying month-to-month for redundant infrastructure.